This is a ripple effect of the hub called Angels Among Us by Ripplemaker. The day I read the hub I was inspired to open a thread in the Hubber’s Hangout forum called Angels Among Us in Hubpages where I suggested another approach of handling the “stop hate on Hubpages” appeal of one of our members. Realizing that not all members visit the forum I thought it best to make a hub about it and at the same time put my suggestions into action. A thought is good but actions create more ripples. We all know how important it is to honor or pay tribute to people who deserve it. Unfortunately, we sometimes tend to put it off and miss the chance to do so. I truly believe that when we show appreciation we are giving the recipient an opportunity to experience the joy of being recognized as someone valuable in this world. This not only helps them feel good about themselves but more importantly it could help heal wounds left behind by past incidents. It is with hope that this “movement” be received with open hearts. Choose any member of Hubpages whom you consider an angel. There is no limit to the number of angels you choose. You can use the hubber as your jump off point to honor others in your family or friends who are non-members. You can even include a race or a group of people doing a special project somewhere or an organization etc..
Next is to choose a manner in which you would like to honor this/these angels. You can do so in the most creative of manners or the simplest of manners –the possibilities are endless. Publish the hub featuring your respective artwork or a poem or song or write up especially created for your angel(s). Announce the hub you just published in the forum and put a link there so that way we can all read and appreciate this hubber angel(s) you have chosen to honor. There is no deadline to this project of sorts. This can go on forever. The idea is to allow room for us to know each other deeper, share each others joy, appreciate each others being and celebrate it with others, thereby providing venue for us to function in a more grateful and loving state. This helps create a more positive environment and could establish a culture of “seeing” each other through God’s eyes attracting the abundance of love to overflow in this community. Allow me the honor of formally opening project Hub Angels. 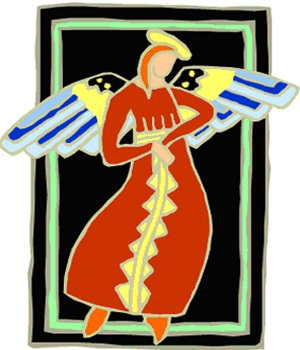 Except for the first honoree, I have arranged my 1st batch of 20 angels alphabetically. There are more on my list and I know I will be meeting more in the future. I have chosen to speak directly to the Hubbers for it allows a more personal touch and shows readers the kind of effect these people have had on me. Allow me first to honor Ripplemaker for her great hub which served as the jump off point to this whole concept. Yesterday I edited a slide show which I uploaded on YouTube. It features a chant sang by ripplemaker herself. You see in healing sessions we do she is sometimes led to do some chanting of sorts. We decided to purposely record her chants for we know it carries with it healing energy. We intended to send it to those we were praying for in hubpages. She did the recording while she was visualizing these hubbers and others whom she believed needed healing in various areas. What Ripplemaker did not know is that I edited a 5 minute version of the chant, did some mixing and put in some refreshing pictures to go along with the audio material with a personal intention of using it to honor her in this hub. The readers are encouraged to press play and press pause right away to first allow the material to load completely before pressing play again. This way the chant is heard in a more fluid manner. For binuaral beats to take effect it is recommended that headphones be used. Now, sis Michelle I know you cringe at the thought of having the spotlights on you. However I do believe the time has come for you to share more of yourself so that others may be blessed. This is my way of honoring your gift of healing the heart, body, mind and spirit. I now move on to the other angels I have met in this community. At the end of the list is a special gift for all of the angels mentioned in this hub. Amy Jane, you were the first one to dare and trust us even if you hardly knew us then. It was your willingness to accept our love that motivated me to write How Hubpages Becomes a Healing Ground. Thank you for allowing me to see the endless healing that can take place in any given environment. I know more good things are coming your way for angels abound when much healing is taking place. You are an angel of trust. ChristineKV, Salamat usab (thank you too) for commenting in my Beatitude hub for if not for that I would not have been led to your personal testimony on conversion which touched me deeply. I could relate to the confusing states you went through and I am blessed with how you have come to be. You are an angel in blue jeans. Compu-Smart, your openness and honesty was a welcome surprise considering the depth of that which you shared. Thank you for trusting us enough to do what we could to assist you in your journey. I think you will like the video found above for it features that which we intend to send you. 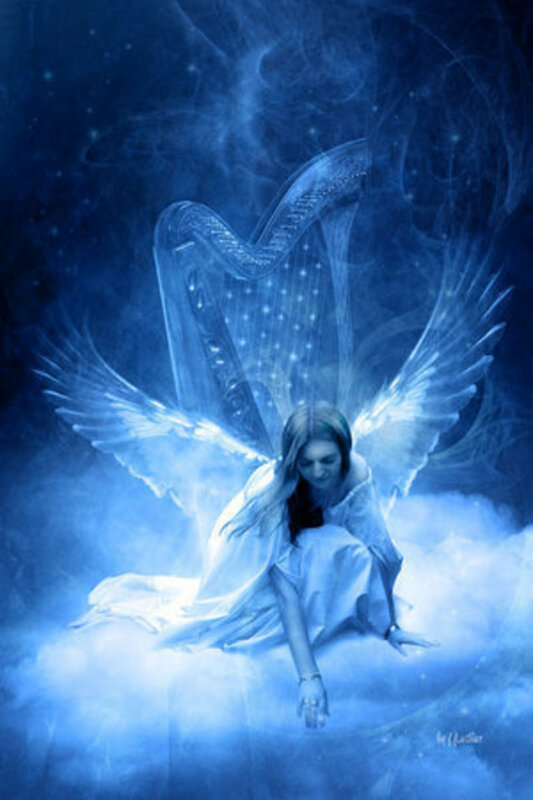 Angels are known to be tender and supportive and you my friend have these qualities for they are evident in your comments and gestures in this community. Constant Walker, thank you for constantly traveling to my hubs and then leave behind valuable insights and suggestions to help keep my journey a more exciting one. You never fail to give me a map or clue to hidden treasures of wisdom that can be found if I take on a more challenging trail. So what do I have in common with Indiana Jones? We both have very lively adventurous angels leading the way and covering our backs. Thank you for being that kind of angel to me. DJFunktual, I am as surprised as you are to find you on this list! LOL Kidding aside let me explain. Reading through your hubs showed me more than just the “cool dude” look. I noticed that most of your hubs were all geared toward keeping people in this community in an upbeat mood. I saw a friendly, concerned guy who sincerely wants to help people look at the bright side of life. You take the time to compose or remix music for Hubbers, list 100 funny movies that we can enjoy and even make a CRUSH List which, believe me, boosts a woman’s self worth. For the zest of life you put in this community, you are hereby dubbed the Funky Angel. Dottie1, you blew the angel’s trumpet on me when you said “it is important to see through the eyes of God for if we could see ourselves this way there would be no more need for low self esteem.” That woke me up and found another tool for empowerment which I used immediately. Behold what it has done to Ripplemaker! Through her hub she openly shared how she believes God sees her, a task difficult to make for one who fears being too visible. The hub has touched many deeply which inspired me to create this very project you are now enjoying. Who knows where it’s going to lead next! This seems to be a classic example of how the abundance of love can flow swiftly and smoothly. Thank you, Dottie for being such a wise angel. G-Ma Johnson, you are one of the most lovable angels around for you unselfishly give all the hugs and kisses you can give to those who come your way. As you give so too will you receive as it is seen in your latest Hub. Many care for you here G-ma and it brings us joy to be there for you too and assist you in whatever way we can. 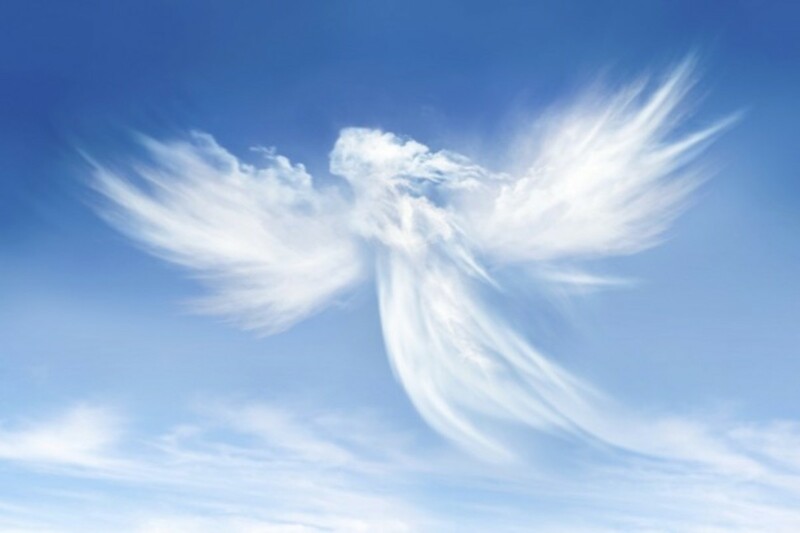 Know that there are more angels in this world that you can ever imagine and are present to protect us all. Here’s a great big tight hug to an affectionate angel. IntheDoghouse, your Pioneers hub touched the core of my being. You put events in a different perspective prodding me to be more appreciative of the endeavors done by those surrounding my life. It also served as an opportunity to encourage myself to go on introducing positive reinforcements in my training modules no matter how radical they may sound. Doing things differently can create a stir and I needed just the right push to go on with my plans. Thank you for that needed push, Pioneering Angel. Jezzbb, I could never imagine angels to tinker with computer hardware and software until you showed me the techniques of using whatever we had to make the net a place to spread love. Thank you for putting into reality the dreams that Ripplemaker and I have had for our site, books and audio materials. We could never have started on these things if it weren’t for your expertise and enthusiasm to help. Thank you, big brother angel. Julie A. Johnson, you are proving time and again that learning is a never ending journey and what rich resources we have when we take time to appreciate the ordinary things that surround us. Thank you for nourishing us with valuable life lessons, Teacher Angel. Kenny Wordsmith, your words emanate profound energies recognized by my spirit bringing me to a meditative state. Peace and gentleness surround me while reading your hubs and comments. You are a mysterious angel who calms my being and I am grateful for your presence in this community. MarisueWrites, your passion to protect those under your care may be beyond the understanding of many but rest assured that the recipients of your love benefit from that. I am quite familiar with the thinking process of abused individuals and I know your presence in their lives mean a great deal. Allow therefore your gentleness to flow freely as you share the joy of loving with the inner knowing that as you help heal others there is much healing taking place in your life as well. Thank you, guardian angel. Patience Virtue, your enthusiasm to understand God allows me to reflect on His teachings beyond various interpretations. I recognize this spirit that longs to have a deep relationship with the All Loving Being. You reflect that of an angel seeking constantly to be in His presence in everything you do and believe me He smiles with delight with all the things you do for He can never deny those who seek Him in earnest. Go forth and be blessed for you are blessing those you encounter. Rmr, your view of home revealed the angel in you, Robert. It was such a delight to discover that the shortest hub name actually has a name that means “bright fame”. I believe calling you Robert instead will attract more brightness and fame into your life for indeed there is power in words. You remind me about eagles for they too have this abiity to sleep amidst a storm and trust the wind to keep them in flight. I am blessed with this strength. Thank you eagle-winged angel. Robjundt , choosing an avatar showing off your boys has a special appeal to it. I love it when parents take pride in their children. Going through your profile made me smile and reading your hubs gave me an appetite not just for food but more so on food for the soul. Family life seems to be the underlying theme for your choice of topics and I thank you for that, family-oriented angel. Sally’s Trove, it was great to find an angel who understood the challenge of growing up in “strict” schools. It somehow gave me a reassurance that I was not alone and that it wasn’t as bad as I thought it was because look how far we’ve come. Thank you for being an angel of character. SweetiePie , your request on Beatitudes prompted me to deal with a topic in a different way. During the martial law era in the Philippines I used to write street plays and highlighted the Beatitudes as an example of how the Spanish colonizers manipulated God’s words to oppress a people. Without being conscious about it I attached negative feelings toward the beatitudes. When your request came the words jumped out of the pages so to speak and I knew I just had to write about it. Thank you for being the messenger angel. Writing the hub has broken the chains of negativity and assured me all is well in my soul. Trish1048, you exude compassion and soft heartedness paving the way for my tender side to embrace you with warmth and assurance. My nurturing side comes out and I am thankful. Not too many people can do that but an angel sure can and has done so in several occasions. Thank you my compassionate angel. VioletSun, your Inspiring Movie Flashes Hub came just at the right time. The Truth flash became an affirmation of the new ways I am approaching life. There was an instant and strong connection established. I honor both you and Phil for the amazing poetry you do together for they are like the breath of angels. The song you are about to hear is an original composition called "Why Jesus?" which expressed my desire to better understand God's nature. Sis Michelle and I made the lyrics, recorded it way back and shared it with friends in community. Now, I share it here as a form of honoring the angels God had sent me. To help focus on the song I only placed one Photoshop picture but then again who knows…angels may just appear along the way (hint). Again, thank you for all the angelic ways you have touched my life. May the abundance of love, joy and peace reign in your lives! Just like in teacher Michelle's page there are so much to dig in your page..I am just so glad I have crossed your path here in Hubpages! The chant gave me chills and the song made me cry. You two are just wonderful! You read my poem. I'm honored and I guess I may have forgotten that you did. Thank you dear. All indeed is well. dayzeebee, you and ripplemaker really touced a soft spot here in my heart. As i listened to the chanting I was taken back to my grandmother arms as a child. She was 1/2 Cherokee and she would chant to me. She was very close to me as my mother alomst died giving me life and grandma raised me for some time, She knew these things of which you speak. Thank you so much. I must now go and seek solace for a time. God has blessed you and us with you. Wonderful people, you know them by the work they have done. Hmmm, you are the angle! I think this is a beautiful idea, even though I didn't know that there was hate on Hubpages. I'm off to honor an angel. Thanks for the great idea! What an amazing Hub!! I have tears in my eyes just reading it and all the loving comments that followed!! I don't know how I missed this Hub!! It certainly explains why the tide turned back to the positive!! Thank you so much for your loving tributes!! I too, send blessings to you and all the other HubAngels on your list!! They have been God-sends to me as well!! Thank you again so much Dazeebee!! DJ Funktual and Ashwinspga you sure made me giggle today. thank you for the fun you bring into my life guys. i didn't get it at first and so had to check on the jackson 5 youtube clip on ABC 123 and had a merry time recognizing the tune. yes i agree, God's love makes us want to share more love to those we meet --- sharing this love then becomes as easy as ABC..123.. and so to paraphrase as DJ did.... this is dayzeebee...singing a melody..and thanking you - joyfully! hello shirley... i believe shock would be a better word to describe what ripplemaker is going through LOL. when she said your comments made her quite she really was and is still which doesn't come often. i mean her child-like zest for life is dominant and when she's quiet---something deep is moving. thank you for sending it to your daughter. it is such a thrill to find you a violet sun sending the chant out to your loved ones. we are honored and grateful. I somehow have been attracted over here to All this Love and Light! I can never get enough of this beautiful stuff. Thanks Dayzee, Rippi, and everyone in between! Pheeew, my day is complete, now I can sleep! I told my youngest daughter about the chant, and have sent it to her. She is very excited about hearing it. I think Ripplemaker is in a bit of shock, or at least surprised. Love & Light to you both. I'm afraid I'm more of a little devil, but I am moved by this hub, all the same. I also like the new avatar. Very nice! Ashwinspga, you do belong here. Just my opinion. I know i don't belong here, I'm sorry if my comment box came in between any thread here, I just felt i need to tell Dayzeebee that this is the most heart warming hub i have ever read. Its not hard to imagine the love pouring out from your heart when you type every single word here. Every single angel you mentioned here rightfully deserves the honor you bestowed upon them. and Dayzeebee you are the angel of all angels to dedicate your time honoring all these wonderul people who have touched you one way or another. Not everyone has such a big heart. May God bless your loving heart. Ripplemaker: I am so glad our comments is a confirmation for you; I had missed this hub for weeks due to an email glitch, gosh look I was missing! I say, yes, yes, GO for it, with the recording more chants, it will help many people to at least shift their focus from lower level thinking and feeling to a higher state. We all need these reminders from time to time. You and dayzeebee have inspired me to be more passionate in sharing my own inspiration as well and hopefully help others , so thank you both for that! Ripplemaker, if my comments proved to be a confirmation for you, I'm glad. It's the least I can do in exchange for the wonderful gift you've given me. I'm not good at talking about deeply emotional things, especially in public, but your music has touched me, thank-you. dayzeebee, I think this is a wonderful idea and obviously went great guns! Where was I when this was on? I think away from all things online for a time! But I'm a great believer in tributes and bringing out the best in people -a great initiative. You've obviously inspired a great bunch of people- including me! VioletSun and Shirley, I think both of your comments made me quiet. In the silence I am trying to &quot;think&quot; and &quot;feel&quot; and am truly grateful that you both liked my chant. It is one of my dreams actually to share these healing chants to those who might need it. Your sharings are affirmations that it has become so. Thanks for inspiring me to do more recordings. Yes dayzee did a great job with the visuals and putting it all altogether. :) Yes DJ Funcktual, she fits right into your hubcrush list! Dayzeebee: I am looking forward to seeing your website! I have an inspiritational site for grief and the link is in my profile. My sister is the artist so she did the art and web design and I focused on the words and topics. It IS a lot of work, so I understand how busy you guys must be. oh my what beautiful exchange of thoughts and insights violet sun and shirley. thank you so much --i have goose bumps reading your comments. i am filled with joy and love for both of you. i know healing comes to those who are ready to receive. i am happy for the two of you. this will surely inspire ripplemaker to do more recording. I think that's a great idea, VioletSun! I can't sing either, but found myself wanting to do it right along with her. I put on my headphones and closed my eyes....got so relaxed that I could hardly keep my eyes open. Then I started reading a hub and started laughing until tears were running down my cheeks. Will be listening to it tonight again. :) I was thinking they could both do a series of chants, for healing, grief, peace, etc... would be a wonderful gift to the planet. If I was more artistically oriented and could sing, I would do this! I can't get enough of that chant, it's so beautiful! Ripplemaker: I have listened to your chant three times, last night, and today, while doing meditation; dayzeebee's artistic ability is incredibly beautiful. I sent it to my sister, and she ended up reading your hub on angels, and she cried. I feel its helping me already! I feel so much better! In part its the relaxation, which opens up the energy centers, and the high vibration of your chants. Once again, thank you both for sharing your Light and much love to you both! Dayzeebee, what an wonderful hub this is!! It was an honour just to read it. Your duo was great too, bravo! Ripplemaker's chant is incredibly beautiful. I've listened to it twice, and will be coming back to hear it often. I agree with VioletSun that it is so soothing. It reaches deeply. Although I don't know every person on your list, I know quite a few and I applaud your choices. They are angels. Just watched and listened to Ripplemaker's healing chant video, and I am in tears. Had chills. What a beautiful, soothing healing sound, and the visuals are awesome! I am going to listen to it again, tonight, with dim lights and allow the energy to balance and heal as I need it right now... By the way, I am hearing impaired, but can hear chants, instrumental music. Oh, my goodness had not seen your comment from two weeks ago in my hub or that you included me in this hub. Thank you! What a beautiful idea in creating this hub! I was not getting emails from Hubpages for over 3 months or could get emails from fellow hubbers, finally fixed the glitch by following someone's suggesting to use Gmail and it works like a charm now. Once again, thank you, you have done a beautiful job, and much love to you! Fantastic! I'm one of those who doesn't 'forum' often...so this was wonderful to see! Most of your angels I've connected with a time or two myself, but some I've missed! Won't let that happen another day!!! BEST! I often think of the Larry David line, "People dislike me intensely." As for the movies you've seen that I recommended PLEASE let me know what you saw and what you thought. What a special treat this was. Dayzeebee, you honor us all by your presence insight and generosity in a sometimes harsh day and world. What a sacrifice and beautiful gift to give us a glimpse of how you see us. We've looked into the window of our own soul through your eyes and heart. I thank you, and appreciate you, and may all you give away come back to you times 10. What an inspiring and beautiful idea! I too belive that encouraging one another is probably the single most powerful thing we could do as human beings- love has so many powwrful properties- that's why God speaks so highly of it- because it does work! Thanks for reminding us of this! hello patience virtue. great to have you on board the gratitude and love act. i know your angels would gleam with delight. thanks for keeping the thread on first page too. :) see you around! Wow! I must say that reading this hub has humbled me in that it has made me think about how much I do (or don't) show love, gratitude, and appreciation to the &quot;angels&quot; in my life. Thanks for the challenge and the mention Dayzeebee; you, too, are an angel! Teacher Julie I'm glad to have cheered you up with this hub. we all go through those moments and it's fine to just let things flow knowing it will all soon pass. the downstream movement is a relaxing and a cleansing state. once refreshed you'll be sharing more valuable lessons for us to enjoy. take your time and follow your bliss. Dayzeebee, I am most humbled. Your spirit is uplifting and a gift to all of us. What a treasure to have angels like yourself and others among us. For your words are always an encouragment and blessing. I am truly thankful for all the kindness you graciously deliver. God has His many lights. You are one, along with many others both mentioned and unmentioned. Let's keep this spirit of giving alive! First, I need to tell you I was blown away to be included on your list. That you would put together this wonderful hub, and to find myself included touched me very deeply. Once the shock wore off, I felt extremely flattered to be included here. Keep up the great work you are doing here on HP, and bless you. You, along with so many others, have made my stay here at HP a very rewarding experience. Got it, and you honor me, milady. Thank you. ruthie17 i couldn't agree with you more. looking forward to reading your hubs! HubPages is the best place to be on the net! Everyone here is just great! I am speechless and can't comment right now because I can't see through my tears. I will come back when I can gather my thoughts. Dayzeebee, I am most honored, and very touched, to be thought about by you in this special way. Isn't it amazing the ways in which we are connected to others of our species? Sometimes the connections are obvious, as with family members and friends. But then, there are diaphanous threads that bind us to another, another who is unknown to us except for that delicate thread. You have taken this time and this venue to give such threads substance, thereby making them stronger. Character does not arrive on the wing of a wish or by accident; it arrives by introspection and contemplation in the field of rules and beliefs into which we were planted. I am happy this thread between us is strengthened today. Dayzee. I'm honored. Thank you very much. I'm not really seeing the Indiana Jones comparison, but it's cool I inspired something like that in you. I do try to look at, and understand, the other side of an issue, even if I don't agree with it... or perhaps especially when I don't agree with it. My psychocology professor found it annoying (lovingly so, I think). My family and friends find it infuriating. It's cool that you appreciate it. PS: I previously published a hub called "Friends and Hubbers" and included the friendships I'd made on HubPages. I haven't named any hubbers specifically because, thankfully, that circle of Hub-friends is always expanding. aaw kenny that's sweet of you. thank you. i shall accept your recognition with the same love and honour you have accepted mine. i shall see you in your latest hub today. L Hiller i'm glad you found this hub inspiring. there are many more hubs around here that can really lift up one's spirit. will be visiting your hubs next. O2smithA thank you for the compliment. and welcome to this community. i just know you'll enjoy it here. my you are a fast writer with all the hubs you've written in 4 weeks. that's just awesome! robert i agree we learn much from each other in this community and helps us define who we truly are. continie soaring with the wing of an eagle. What a lot of love there is around here! All created by a super angel, you! Whether I'm worthy of being called an angel, I won't explore, but accept the love in which that honour is given. And maybe it will help me be a proper angel like Dayzee Bee! This was a terrific hub for a newbie like myself to read. Great work! Dayzeebee, I am humbled to find myself on your list of angels! I believe we are here to learn, and I think people will learn much from your inspirational hubs. Thanks so much for this honor! And I wholeheartdly agree with the rest of your list. In the Doghouse, your perceptiveness is amazing. it is a gift that allows you to better serve the needs of those surrounding your life. i am honored to have you as one of my angels. Dottie i am amused at your reaction. oh you do deserve to be honored in many ways. you have began a ripple yourself! isn't it just great to feel all this abundance of love around us? thank you once again. Sweetiepie you are part of God's wonderful humor today. you see one the hubs i plan to make is about the Philippines. LOL. my, you are an angel messenger! ripplmaker....what can i say....except thank you for being an inspiration to many. your healing radiance defy time and space. big hug back to you. It brings me great pleasure in assisting you and ripplemaker on your project regarding spreading love. Your hubs make people connect with each other in more meaning. God Bless! Oh my... what beautiful angels you all are! I am breathless reading your comments for my heart is full of wonder and joy and love.... aahh... such a beautiful feeling indeed. G-Ma how quickly you responded to this hub.haha and always you bring a smile to my heart with your endearing ways. i know your angel hub will be an amazing one and i look forward to it. Love lots and big hug! dabblingmum thank you for finding sweetness in this hub. see you around..
Dayzeebee, wow, I am seldom at a loss for words, but you have stopped me. I am honored and humbled at the same time. I will treasure your words, and for honoring me in this way. How generous you are! Angels walk amongst us, and you are one. You help me see that good is never wasted, and it does not go unnoticed, though we may never see or harvest the seeds we plant as we extend love and fellowship to those around us. First, I must say that your choice to spotlight Michelle was a wonderful one. She is a special person whose spirit radiates wherever she is to be found. Her comments to my Hubs and the written interaction we have exchanged is always uplifting and encouraging. Next, I am humbled to be among the many whom you have chosen to single out as an "angel". Hubpages is a wonderful community and there are, as you have stated, many who could be classified as "angels". Thank you for this beautiful Hub. It is wonderful how you have seen the positive side of many and chosen to accentuate it. You have given us a beautiful example of putting the "Golden Rule" in action. So this is the 'secret' project you've been up to for days! Now I don't know whether to laugh, cry or 'hide'. LOL Two songs all in one hub and tribute to me and all the beautiful hubbers we've met here, it's truly wonderful! Amazing! Your love to inspire people just keeps on shining brightly! Thank you for mentioning me in your hub. I really enjoyed your hub about the Beautitudes because it truly spoke from the heart. I think you should expand upon this and write more hubs about your experiences in the Philippines, it would be very interesting to read about :). OMG, Holy Moly, what have I done to deserve this! I just read a hub 'a tribute to mothers' and I was honored. Then I approach 'They Hub Among Us" where many Angels were waiting, for yet another tribute. What can I say. I think I need Angel Marisue to paint 'The Rainbow For The Mind' for words I cannot express to you Dayzeebee but would love to say. You too are an Angel among us and a Ripplemaker too. I am truly honored. Thanks much and Thumbs Up! That is such a sweet hub! Thank you for continuing to be a breath of fresh air in my life! wow..now you see why I shed tears....what a wonderful Hub..and so well done..and is funny so many of the Angels you put on here are the very ones I too would choose.